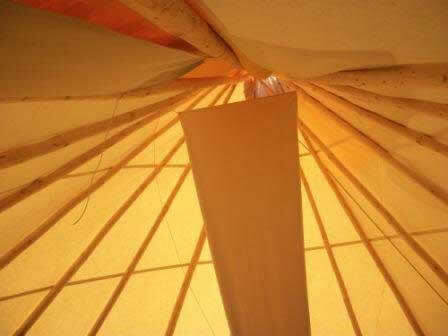 Click here for our Tipi prices. The Tipi is a majestic structure which has become increasingly popular as a spacious alternative to camping in an ordinary tent. The word 'glamping' meaning glamourous camping recently sprang from this popularity. Tipis evoke a communal spirit with their circular shape reflecting the natural cycles of life from planetary movements to the changing of the seasons. Connecting us with the outdoors and nature. A perfect space as a retreat Tipis lend themselves as a place for contemplation and meditation or equally a musical gathering. Complimentary to the outdoor lifestyle Tipis provide a fantastic space for a variety of purposes such as camping, workshop space, outdoor class room, festival accomodation or a personal garden retreat. Lying in a Tipi looking up at the apex of the poles is a relaxing and meditave experience.  What is in a Wigwam Sam Tipi? All our Tipis are hand made following the traditional Sioux design using 12oz cotton duck canvas and are built to last with attention to detail. The canvas is fully waterproofed and fire retardant - proofed to British standards. We like to use colour creatively when sewing our Tipis and offer you a choice of colours in the canvas to contrast along the front of the Tipi cover. 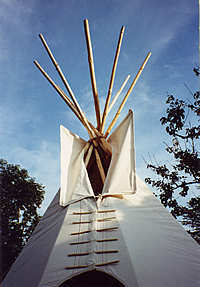 Tipis consist of three main elements the Tipi cover, the inner lining and the Tipi poles. 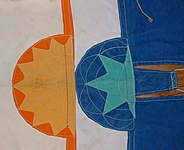 The inner lining keeps the Tipi snug in Winter and aids the draw of the fire. The Sitka spruce poles sometimes Douglas fir are sourced and cut by us from sustainable local woodland. All Wigwam Sam Tipis come complete with Ash pegs, Willow lacing pins, Sisal rope, bags and pitching instructions. We make Tipis to order in a variety of sizes. Tipis start from 12ft up to 30ft in diameter. 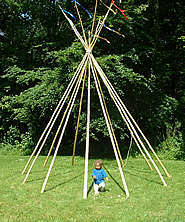 The size of Tipi you require will depend on how many people intend to use it. What space you have available in which to pitch it. The size of vehicle which will be used to transport your poles. We can advise on the legality of overhang. A useful site to check is the Vehicle and operator services agency VOSA for up to date information. Pole length is really down to choice - the poles an be cut right down so that less than a foot would be sticking out of the top of the canvas where the poles are tied. This is done if you wish to fit an external rain hat. Personally we don't find this compliments the beautiful poles. The above is a guide as to the lengths we use. 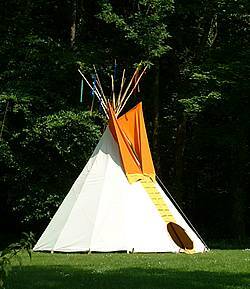 A Wigwam Sam Tipi is sold with groundsheet and raincatcher priced in. We do however also sell these items separately. Adaptation to precipitous climates has led to the development of the rain hat devised by the inhabitants of Tipi Valley, Wales. This sits above the Tipi poles on the outside and stops rain from entering through the smoke flaps whilst not obstructing their function of drawing the smoke up from the fire. In order for these to sit correctly the poles need to be cut. 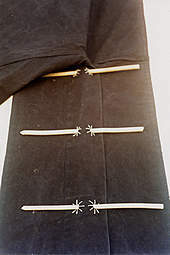 We have our own design of Raincatcher which sits on the inside of the Tipi acting like a gutter catching any major drips entering through the smokeflaps again designed so that the smokeflaps are not obstructed if using a fire. Groundsheets and coir matting are also available. If you would like any advice please contact us to discuss your requirements. If emails bounce back please call as we are experiencing some problems. We also specialise in smaller kids tipis. 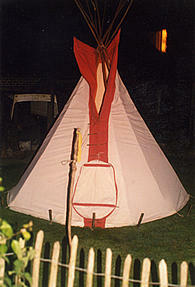 We can deliver Tipis and help you to erect them for an extra charge depending on size and distance to travel.